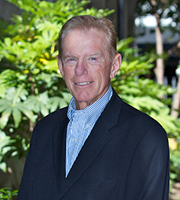 Involved in the real estate industry for 38 years, John started out selling and syndicating apartment complexes in Southern California. This contributed greatly to his understanding of the numbers involved in good real estate investing as well as the complexities that affect proper real estate evaluation. In 1984, John moved to Wild Dunes and has been living and selling real estate there ever since. In 1989 after helping to start dunes properties, selling resort property became John’s first love and that has been reflected in his success in both sales and development. The top salesperson in the Charleston Trident Association of Realtors in 1990, the year after Hurricane Hugo, and consistently in the top 5% for years afterward, John began developing resort condos and townhomes in 1999. Now after having developed over 130 units on the Islands around Charleston, John is once again devoting his full attention to helping sellers sell their resort properties and buyers find their dream home for retirement, vacation or a solid investment. Call John today and let him put his many years of experience and know how-to work for you. One of the founders of dunes properties, John has many years of real estate and development experience.